Much of the area generally known as North Pasadena was once considered valueless by H.G. Monk, a New York real estate developer who originally owned this piece of property, because it was in his estimation dry land that was covered mainly with sagebrush and chaparral. He determined that the land’s rough and arid landscape made the area not very attractive or suitable for building homes there (Wood, 1917). When Monk sold his 2,000-acre property at a discount to John H. Painter and Benjamin F. Ball for $15 an acre plus water rights to the Arroyo Seco in 1881, little did he know that this area north of Pasadena would become fertile ground for a thriving community whose citizens would seek to make the area “dry” again. Painter and Ball were the key architects in the development of North Pasadena and played a vital role in establishing a settlement there and developing the land in the 1880s, particularly in the boom years between 1886 and 1887. They built streets and developed a water supply system and reservoir using water from the Arroyo Seco and facilitated the construction of homes and businesses in the region. At one point the two men virtually owned all of Pasadena north of Villa Street (Zorbas & Cain, 1988). 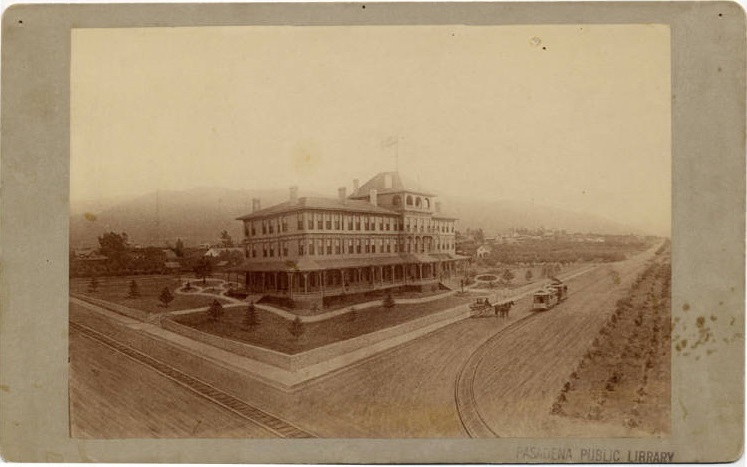 During Pasadena’s boom years, Painter opened the famed Painter Hotel on Washington Boulevard and Fair Oaks Avenue in 1888. It was popular with many tourists from the East Coast visiting Pasadena during the winter, and it prospered for many years. In 1905 Painter sold his hotel to General M.C. Wentworth, who renamed it the La Pintoresca Hotel (meaning the picturesque in Spanish). It continued to thrive for another seven years until a fire destroyed it in 1912. The hotel was not rebuilt and Wentworth eventually sold the land to the City in 1914. Eleven years after the purchase, the City converted the property to a park in 1925 and hoped someday to add a branch library next to it. 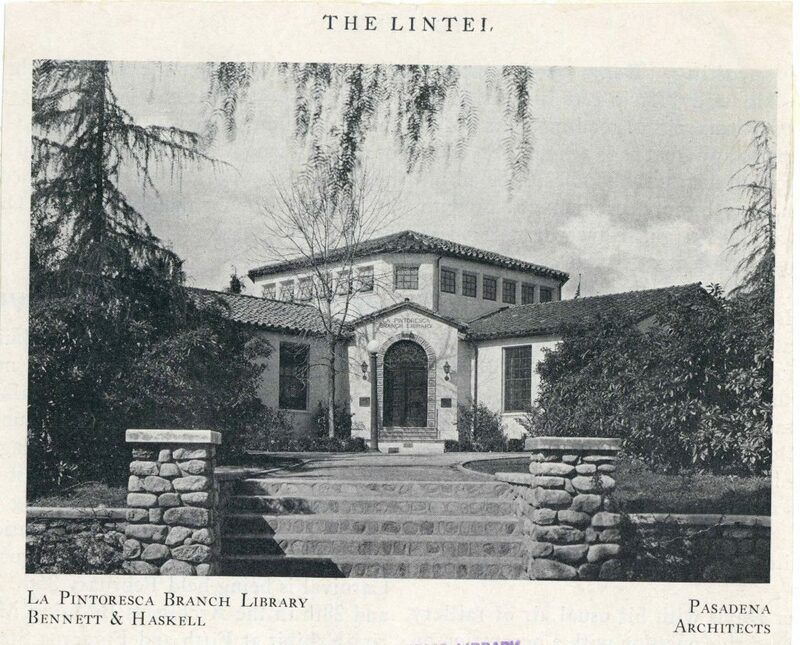 In 1930, that hope was realized with the construction of the La Pintoresca Branch Library, the namesake of the hotel which had previously occupied this site. 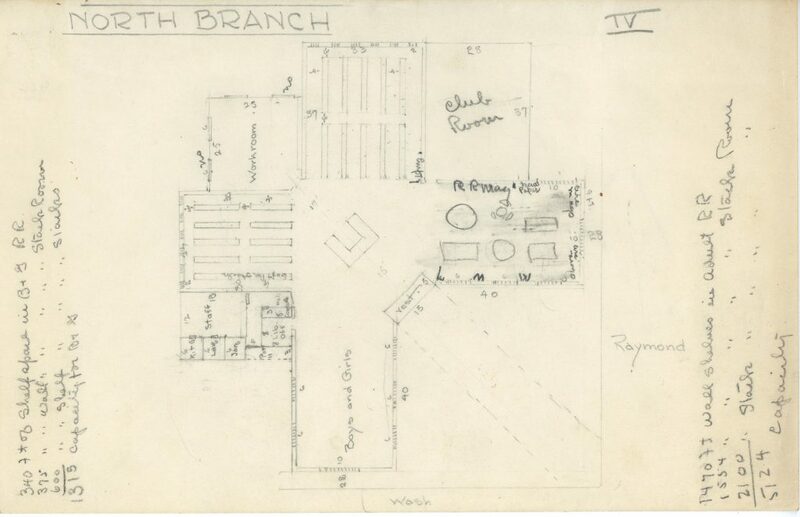 It replaced the North Pasadena Branch, which was established in 1908 and which hitherto was located in rented quarters next to a grocery store. This year marks the 88th anniversary of the La Pintoresca Branch Library building and the 110th anniversary of the branch’s establishment. 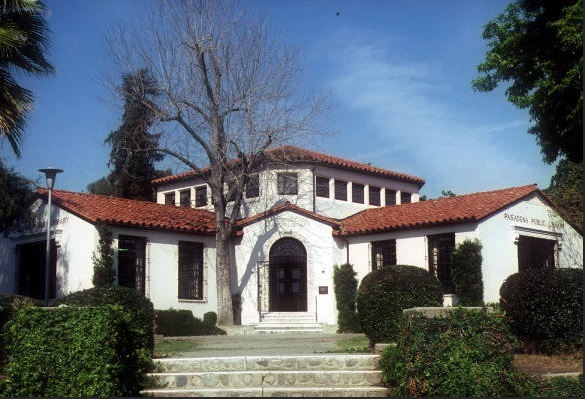 The first branch of the Pasadena Public Library, the La Pintoresca Branch has a long and proud history, one that speaks of community spirit, civic engagement, and a thirst for learning. Its history begins in 1905 when the Washington Heights Woman’s Christian Temperance Union decided to sponsor a reading room for the residents of North Pasadena. The significance of this event is best understood in the context of Pasadena’s anti-saloon movement. The Northside, as it was sometimes called by its residents, had been annexed by Pasadena the previous year and was just beginning to enjoy some of the perks of being part of Pasadena, such as connecting to the city’s sewage system, fire protection, and ridding the community of saloons under its jurisdiction.1 In the late 1880s, Pasadena enacted anti-saloon ordinances to drive out saloons from the city. These ordinances didn’t necessarily make saloons disappear from Pasadena entirely but rather pushed them towards the outskirts of the city, particularly in the unincorporated southern and northern parts where they operated under county laws. 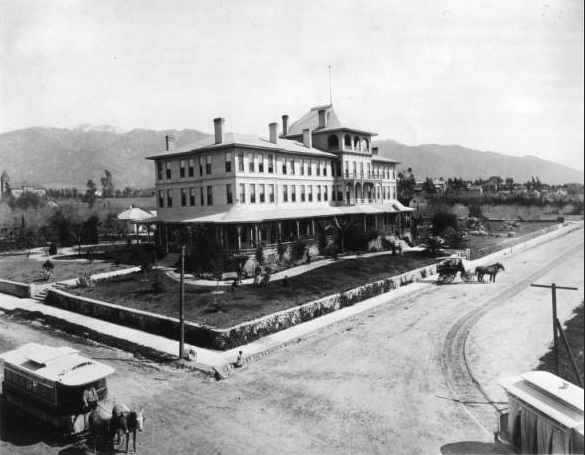 Frustrated by Pasadena’s reluctance to do anything about the drinking establishments creeping into its backyard, South Pasadena broke away from Pasadena and incorporated as a city in 1888. It immediately kicked out the dram shops within its borders and “in ten days it was California’s second bone dry city” (Pineda & Perry, 1972, p. 105). North Pasadena, however, did not have the necessary means and votes to incorporate and its residents were divided on the issue of annexation by Pasadena. To drive out the one saloon that operated in its community and to prevent any more county-licensed saloons from opening, North Pasadena with the leadership of the WCTU established a “Sanitary District,” which was governed by a board with the authority to prohibit saloons and any type of liquor business from operating inside district boundaries. The Northside’s first order of business as a sanitary district was to vote out the saloon on North Fair Oaks Avenue (“North Pasadena Sanitary Board declares war,” 1899; Shoop, 1955). After Pasadena’s annexation of North Pasadena in 1904, thereby ending the sanitary district, the WCTU remained a strong presence in the area and continued to campaign against saloons and the sale of liquor. Always interested in the well-being of the community, it sought to provide activities that were nourishing to both mind and body. So in the spring of 1905 it opened a reading room as an alternative to saloons. The room was located in the basement of the Washington Street Methodist Church and provided a place where “adults and young people could meet in wholesome surroundings” (Shoop, 1955). It was an immediate success with the Northside residents who came to this little book bar, as it were, and quenched their thirst for books and learning. Beginning in 1907 there was a drive to have the reading room brought under the control of the Pasadena Library Board (Cain & Zorbas, 1982). At first it was partly committed to this idea and could only contribute $5 a month, half of the money that was needed to support a library branch, but later increased its contribution to $12 a month. In the summer of 1908 the Library Board voted to make the reading room into a branch library, thanks in part to the determination and hard work of local residents who petitioned to have a library in their community. 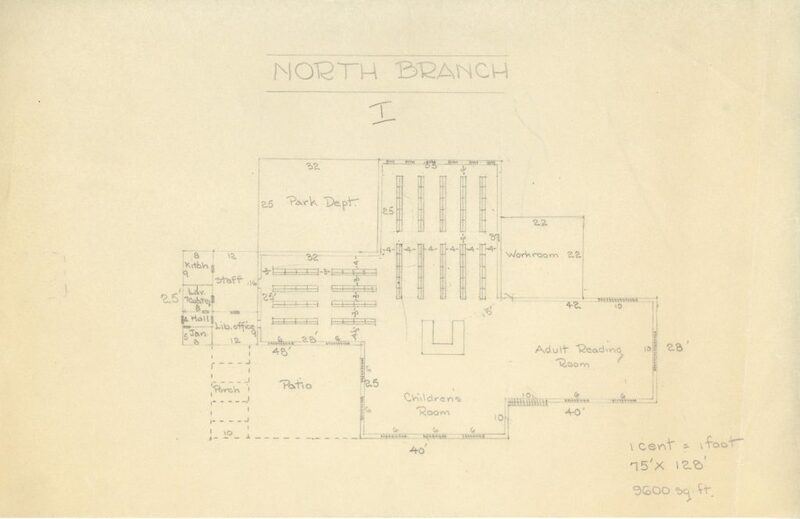 On November 1, 1908, the Pasadena Public Library established its first branch in North Pasadena, aptly named the North Pasadena Branch (or North Branch).4 Agnes Craig, who was an assistant to the librarian at the main library on Walnut Street and Raymond Avenue, was appointed branch librarian. 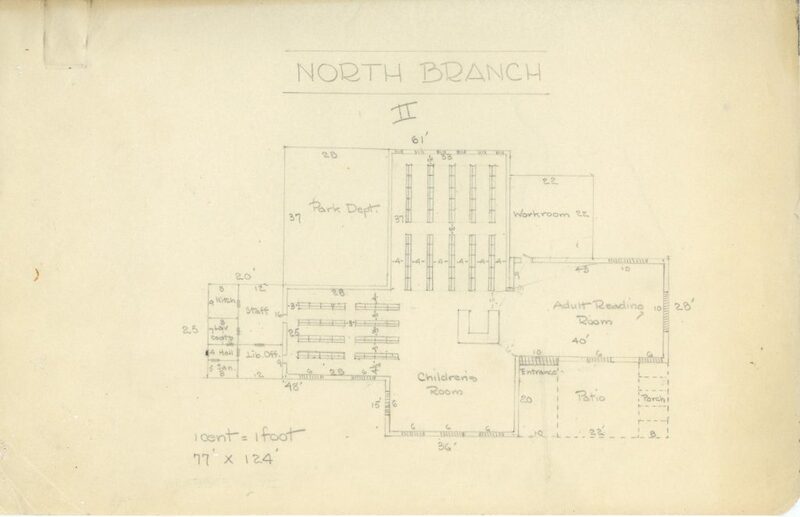 Although it was established from the popular reading room started by the WCTU three years earlier, the high patronage of the North Branch in its first month surprised many Board members who were “greatly pleased” by the community’s strong interest and support (“Library support pleasing to Board,” 1908). In the December 1908 Monthly Bulletin, head librarian Nellie Russ reported on the success of the branch, stating that the circulation of books during its first month of operation “fully demonstrated its usefulness.” She noted there were 127 registrations and 475 loans from a collection of 666 books. These numbers nearly doubled by the end of December and would steadily increase in the following months. The idea of having a separate branch building started to emerge when the City bought the La Pintoresca Hotel lot in 1914, but it wasn’t until after a park was built there in 1925 that the idea became a real possibility when the City discussed adding a library next to it at some future time. 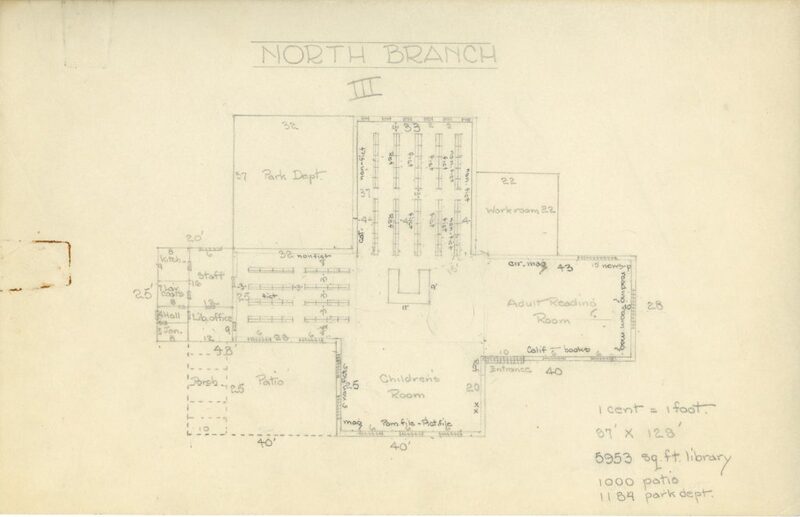 The North Branch by this time had outgrown its current quarters and additional space was desperately needed. Construction promptly began in July and within five short months the new North Branch library was completed. 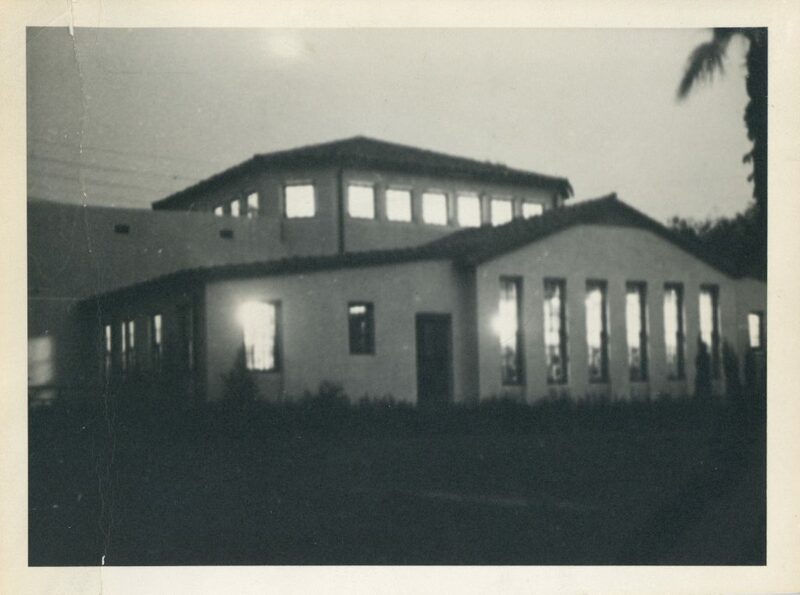 It opened on December 30, 1930, as the La Pintoresca Branch Library. The building is a far cry from the small reading room that first opened twenty-five years earlier in the basement of the Washington Street Methodist Church. Its spacious and well-lit interior provides a welcoming atmosphere, and its location in La Pintoresca Park adds to the beauty of the North Pasadena landscape. From its red tile roof and white stucco walls to its decorative door surround, the La Pintoresca Branch’s Spanish Colonial Revival style is in keeping with California’s history and in particular Pasadena’s architectural style. Although it may not have replaced saloons or drinking (though that was no longer the intention when it was built), the La Pintoresca Branch has had a positive impact on the community it serves by providing a warm and inviting place for book lovers of all ages to quench their thirst for learning. Like the North Branch before it, the La Pintoresca Branch fosters civic pride and community involvement and is much loved by the local residents who see its value in the community. If the members of the Washington Heights WCTU could see what has become of their small reading room today, they would be well pleased to see the fruits of their labor. 1North Pasadena was divided on the issue of annexation when it was first put up for voting. Many residents at the time did not want increased taxes that came with annexation. They also felt that joining Pasadena would not completely solve the saloon problem and that a sanitary district would accomplish what they wanted without the increased expense. 2The address is listed at 1261 N. Fair Oaks Avenue in a Pasadena Evening Star article dated July 25, 1906. 3The Ebell and Friday Morning Club were women’s clubs founded in the 1890s in Los Angeles. They catered to the social and educational interests of middle-class and society women and were very popular in the early 20th century. The Ebell still exists today. 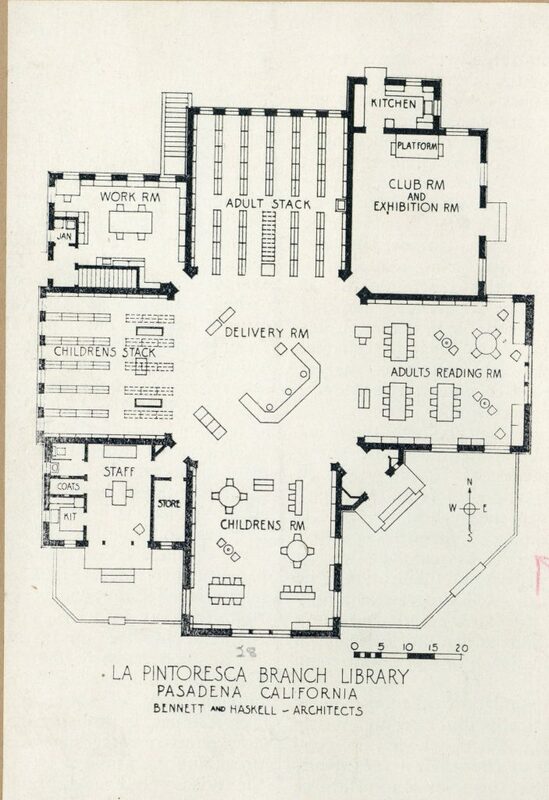 4As early as 1906, the reading room was sometimes referred to as a “library” or “branch” of the Pasadena Public Library in some local papers, but the use of the terms may have been one of convenience or mere association of purpose. It should also be noted that a number of archival sources mention November 1 as the establishment date, but since this date landed on a Sunday in 1908, the North Pasadena Branch did not officially open until the following Monday, November 2. See Pasadena Evening Star, Jul. 25, 1906, and Pasadena Daily News, Oct. 27, 1908. 5The address of the North Branch slightly varies in a number of sources between 1908 and 1930, and this variation is a source of confusion. From 1908 through 1914, it is listed at 1333 N. Fair Oaks Ave. in the city directories. 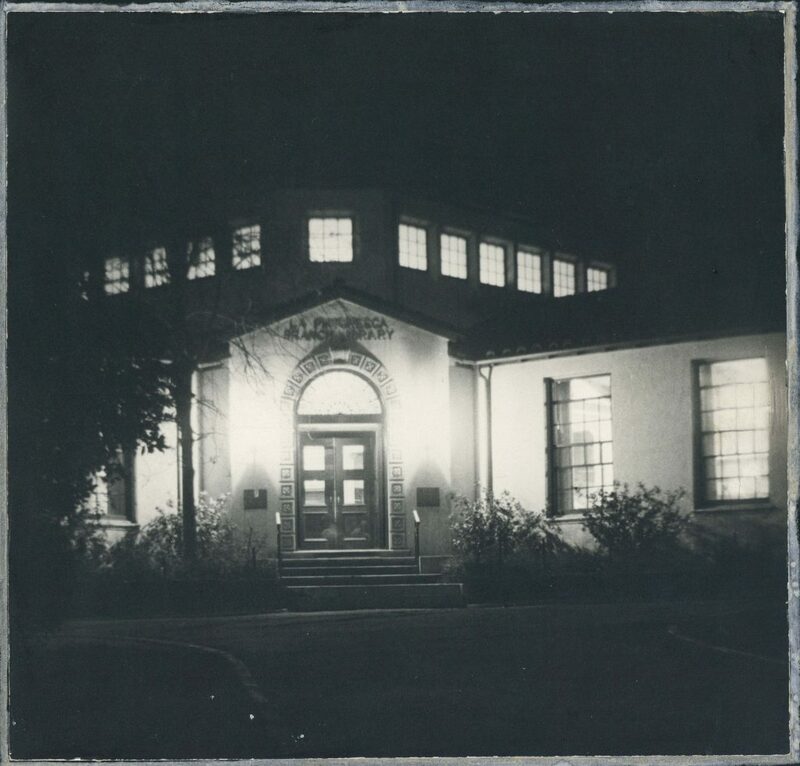 However, from 1911 up to 1916, the Library’s Monthly Bulletin has the address at 1237 N. Fair Oaks Ave. For a brief period, the address is listed at 1327 N. Fair Oaks Ave. in the 1914–1915 city directory. In 1917, local newspapers have the address back at 1333 N. Fair Oaks Ave.; but it should be noted that during this year the branch expanded when the City leased an adjacent structure at 1331 N. Fair Oaks Ave. City directories from 1917 through 1930 thus list the 1331 address. See Pasadena Star News, Apr. 17, 1917. 7Possibly Pearl Margison, who succeeded Agnes Craig as the North Branch librarian in 1928. Branch city library is moving. (1930, December 29). Pasadena Star News, p. 9. Branch library makes strides. (1909, January 5). [From Pasadena Evening Star?]. La Pintoresca Branch (Box 2, Folder 1). Pasadena Public Library Institutional Archives, Pasadena, CA. Branch library shows growth. (1909, February 3). [From Pasadena Evening Star?]. La Pintoresca Branch (Box 2, Folder 1). Pasadena Public Library Institutional Archives, Pasadena, CA. Estes, J. (1987, January 10). To quench its thirst for learning: La Pintoresca Branch Library offers the community a place. Pasadena Star News, p. A3. Fighting the saloons: Board of Supervisors to referee the contest–anti-saloon forces strong. (1900, September 1). Los Angeles Daily Times, p. 10. Fizz-pop mass meeting on annexation question. (1899, July 29). Los Angeles Times, p. 13. Latest scheme of saloons won’t hold water. (1899, November 14). Los Angeles Times, p. 15. Library support pleasing to board. (1909). [From Pasadena Evening Star?]. La Pintoresca Branch (Box 2, Folder 1). Pasadena Public Library Institutional Archives, Pasadena, CA. Library to be rest room. (1906, July 25). Pasadena Evening Star, p.1. Library question discussed by W.C.T.U. (1906, June 14). Pasadena Evening Star, p.10. Library unit built soon for North. (1930, June 25). Pasadena Star News, pp. 11, 13. New library architects selected. (1930, March 6). Pasadena Star News, p. 9. New library attractive building. (1931, November 12). Pasadena Star News, p. 1. Nine “sanitary districts” are started in this county. (1899, July 17). Los Angeles Times, p. 9. North Branch library plan approved. (1930, March 25). Pasadena Star News, p. 7. North Pasadena Sanitary Board declares war. (1899, November 7). Los Angeles Times, p. 13. Pineda, M., & Perry, E. C. (1972). Pasadena area history. Pasadena, CA: J.W. Anderson. Public library opens Monday. (1908, October 27). Pasadena Daily News, p.6. Reid, H.A. (1895). History of Pasadena. Pasadena, CA: Pasadena History Company. Russ, N.M. (Ed.). (1908, December). Monthly Bulletin, 10(12). Pasadena, CA: Pasadena Public Library. Shoop, C.F. (1955, March 13). Heights WCTU observes 60th anniversary. Pasadena Star News, pp. 12, 16. Support branch library very gratifying. (1909?). [From Pasadena Evening Star?]. La Pintoresca Branch (Box 2, Folder 1). Pasadena Public Library Institutional Archives, Pasadena, CA. Take lease on new library quarters. (1917, April 27). Pasadena Star News, p. 8. Wood, J.W. (1917). Pasadena, California, historical and personal. Pasadena, CA: Author.